Gili Trawangan is only a couple of hours from Bali, but it could be a different country all together. There are no cars or motorcycles and most people visit to purely relax, dive, snorkel and sunbathe. But how long can you spend on this small island without running out of things to do? 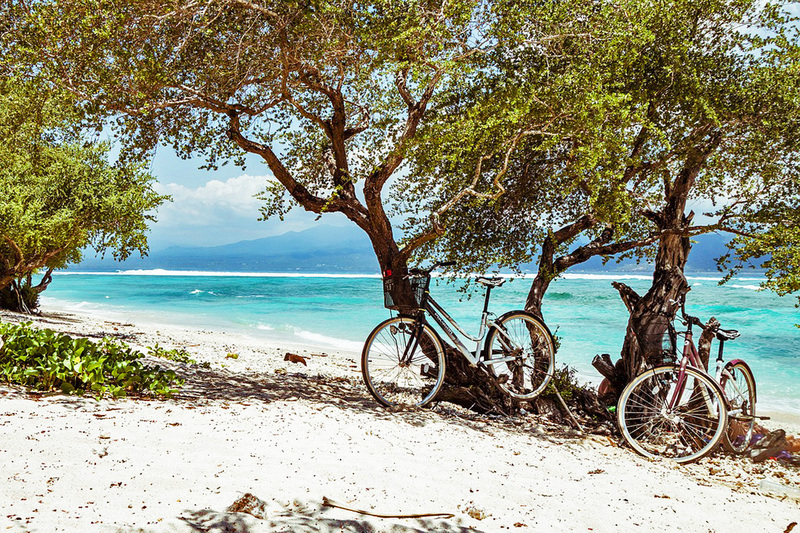 Here are our tips on how long to stay on Gili Trawangan. From Bali the trip to Gili Trawangan take around 2 hours by fast boat or around 3 hours if you fly and drive from Lombok’s mainland and catch the local ferry. So if you leave Bali in the morning, you can easily check in to Villa Almarik and be on the beach with a cold drink in the afternoon. Ask yourself what you want to do on Gili T. If you want to learn to dive you’ll need to check out the time your Gangga Divers PADI course will take. Dive courses range from ½ a day to 3 days, and remember you can’t fly until 24 hours after your last dive if you’re planning to return to Bali by plane. You can find more information on dive courses in our blog: Learning to Dive on Gili Trawangan. If you already dive, make sure to allow yourself a couple of days to really experience the dive sites around the island. There are 25 sites within easy reach of Gili Trawangan with tons of different things to see. If you aren’t a diver, there are still plenty of reasons to visit Gili Trawangan. 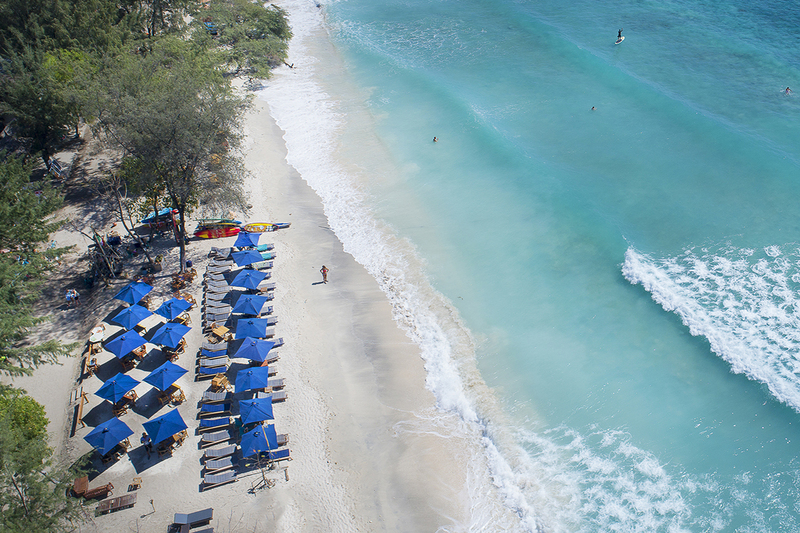 Perhaps you want to relax on the beach, soak up the sun and snorkel. In this case, we definitely recommend booking into Villa Almarik for at least 3 nights. This will give you a couple of full days of downtime to unwind. Spend a couple of hours in the spa, have a delicious pizza by the beach and don’t forget to watch the sunset to end your perfect island days. You might want to catch up on your reading on the beach, but it’s definitely worth getting out and exploring a little bit as well. You can rent a bicycle and ride around the island, which is about 6km. At a nice slow pace with some stops on the way it will take a couple of hours. Another great way to stretch your legs is a walk up Gili Trawangan Hill. The views of the whole island are spectacular from the top and it only takes around 40 minutes from Villa Almarik. 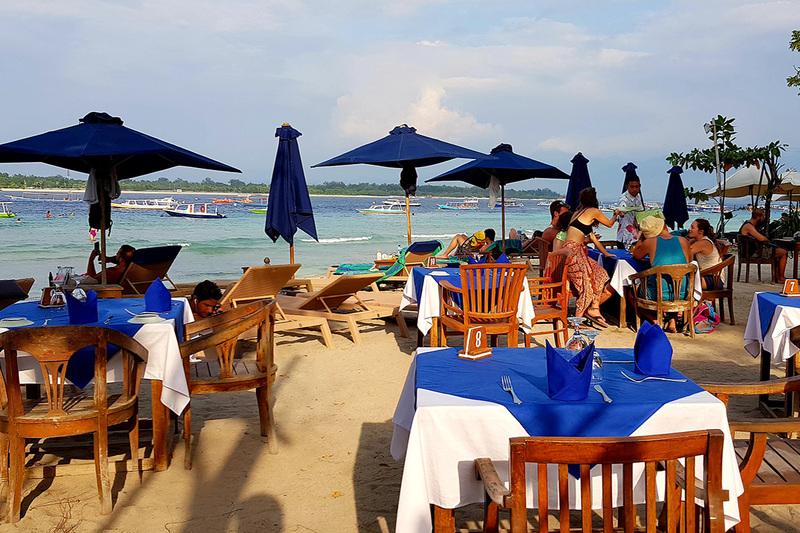 We have a great post on this walk here: Climb Gili Trawangan Hill for the Best Views in Gili T.
Gili Trawangan is well known for being the most nightlife-friendly of the 3 Gilis. 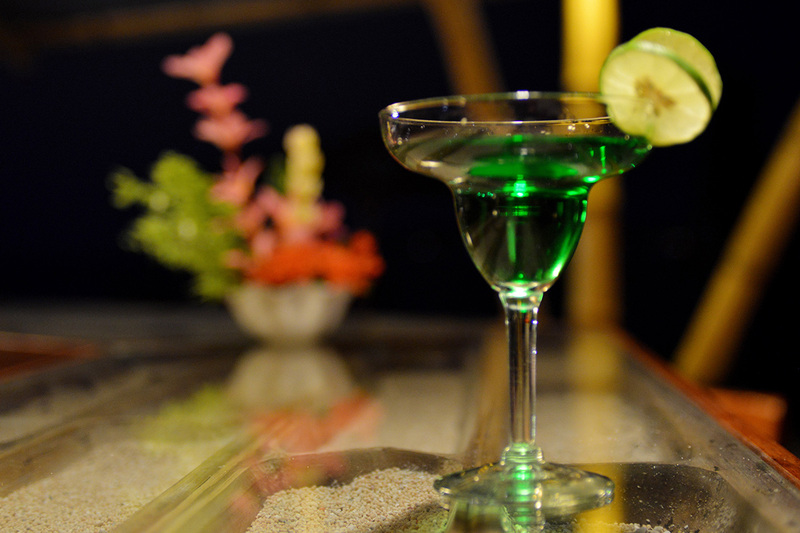 There are tons of bars, late-night spots and special events to dance and drink into the wee hours of the morning. There are places that can get pretty wild, but also plenty with a very chilled out beach vibe. If you like to party, or just have some beachside drinks, you may need to sleep and sunbathe off your hangover the next day. So, how many nights should you book? Think about what you’d like to do on Gili Trawangan. Also take into account if you are a very active person or you’re happy on the beach getting a nice Gili T tan. We recommend starting with at least 3 nights and giving yourself a little leeway in your plans to add more days on. After all just about everyone who goes to Gili Trawangan ends up extending their stay by at least a day or two. How would you like to spend your time on Gili Trawangan? We’d love to hear in the comments below.